Home » Nespresso Inissia Review: A Nespresso for Anyone? Nespresso Inissia Review: A Nespresso for Anyone? 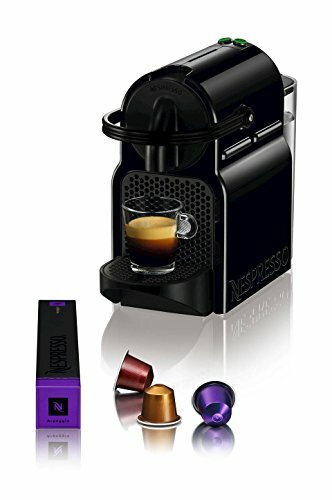 The Nespresso Inissia is a compact capsule espresso maker that is the cheapest (based on list price) and most lightweight brewer in manufacturer’s range. Featuring a fast heat-up time of 25 seconds and a water tank capacity of nearly 24oz, the OriginalLine-compatible Inissia is a fully functional brewer that will particularly appeal to users looking to buy their first capsule brewer, or to coffee lovers who want to enjoy this type of brewing on a budget. The Inissia offers the full range of Nespresso features, including a foldable drip tray, 19 bar pump pressure, and the ability brew both espresso and lungo to the user’s desired volumes. There is no milk heating capability on this particular machine, but it is sold in an optional bundle with the Aeroccino Plus Milk Frother. For a list price of $150, you can buy the Inissia in a bundle with the Aeroccino Plus Milk Frother, which has a list price of $65 (for a $25 saving on buying them separately). As with the manufacturer’s other coffee machines models, the Inissia is sold new with a welcome pack of 16 Nespresso capsules. To make coffee using the Inissia, firstly, make sure the external water tank is topped up. This is located at the back of the machine and can be removed or filled with a jug while in place. The unit takes around 25 seconds to heat up (the buttons on the top of the brewer will flash during the heating up process). When the unit is ready to brew, lift the handle at the front, insert a fresh coffee capsule into the compartment, and lower the handle to close the unit. 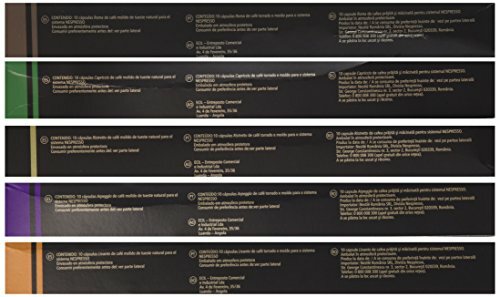 There are two buttons located at the top of the brewer to select which beverage size you prefer. One is for espresso and one for lungo (which uses more water). Press and let go for factory preset volumes. To program in a specified volume, hold down one of the buttons while the coffee is dispensing and let go when it reaches your desired volume. The button will flash to indicate the brewer has retained your preference, which overrides the factory settings (these can be easily restored). The coffee will dispense directly into your chosen cup or demitasse. The drip tray is foldable to accommodate taller mugs and glasses. If you want to stop the coffee flow during the extraction process, simply press the button. Top up with more water after extractions by pressing the button again. Once the coffee has dispensed, the used capsule is ejected into the drawer. It can accommodate between about 9 and 11 before it needs emptying (check out the Nespresso website for details of their capsule recycling program). Note that this particular unit is compatible with the OriginalLine range of capsules. The brewer is equipped with an energy saving function. After a specified period of inactivity, the brewer will turn itself off. The default setting is 9 minutes, but this can be adjusted up to 30 minutes. Press the ‘lungo’ button on the top of the machine to wake it up. Press both buttons together to manually turn off the unit at any time. Issues you may encounter when using the Inissia include the water not coming out of the machine when the brew cycle is initiated. Check that there is enough water in the tank and consider descaling the machine (see below), especially if you live in a hard water area. Nespresso has also noted an issue with air bubbles, which can form if the brewer has not been used for a long time. I’ve found that by filling the water up to the brim of the reservoir and letting it sit for about 30-40 minutes before the cleaning cycle generally fixes the issue (more water pressure). Another fix that sometimes works is to press the valve on the base of the tank inwards slightly before reattaching it to the body. Finally, just unplugging the machine for a bit seems to lead to a better cleaning cycle on the initial run, which typically can take care of the air bubble. Capsule coffee makers are known for their ease-of-use and the Inissia is no exception. Users get the choice of espresso and lungo options and there are additional features, such as the programmable auto shutoff. At this price point, home brewers looking for variety could even add the Inissia to their existing coffee making options and enjoy the convenience of pod coffee without a huge investment. Negatives points on the Inissia mainly concern the limitations that come with a model at the low end of the price scale. These include the smallish water tank, lack of a dedicated on/off button, and a unit that maybe looks a little cheap. 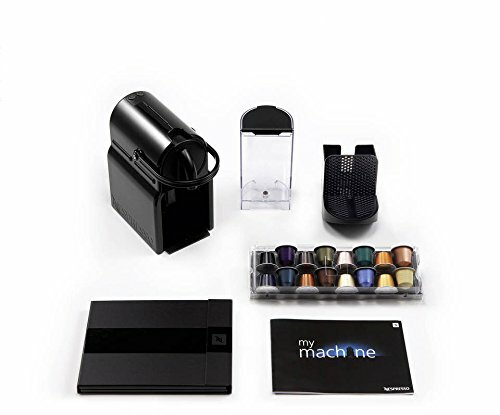 These are generally outweighed by the functionality, but if you have some flexibility in your budget, you might prefer one Nespresso’s slightly more expensive options, which have a range of additional features, such as a larger water tank, the option to brew Ristretto, and even Bluetooth connectivity! A more general negative point concerns the limitations of capsule coffee. In this particular case, users can choose from the OriginalLine range of pods. While compatible pods are constantly coming on to the market, if you go with Nespresso’s own range, (at the time of writing) capsules cost between 70c and 90c each, which can mount up if you love your coffee. There is also the issue of recycling and the waste generated by pod coffee. As to the taste, ‘capsule espresso’ tends to polarize users. If you fall into the camp that loves this type of coffee, you’ll likely be more than happy with what the Inissia can produce. Maintaining the Inissia is pretty straightforward. The brewer requires periodic descaling to keep it running optimally. As to frequency, the manufacturer recommends once a year for soft water areas and twice a year for hard water. Additional maintenance duties include cleaning out the removable drip tray and capsule drawer, as well as wiping down the outside of the machine and the dispensing spout with a soft cloth. Before brewing the first coffee, and after brewing your last, rinse out the machine with water by initiating a brew cycle minus the coffee capsule. Pros: The Inissia is Nespresso’s most compact and lightweight brewer. Despite its small footprint, the Inissia retains all the functionality you would expect from this manufacturer. 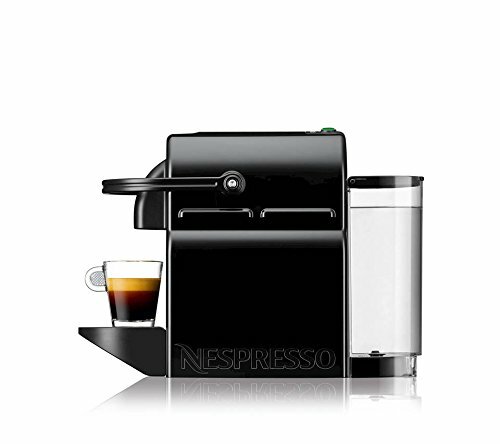 It boasts a fast heat-up time and programmable espresso/lungo options. The Inissia is compatible with the full range of OriginalLine capsules. The Inissia looks pretty good and, at a list price of around $110, is the cheapest of the Nespresso brewers. Cons: At 23.7oz, the Inissia does not have the largest water tank (for example, the water tank on the CitiZ model has a 34oz capacity). The brewer is not as sturdy as the manufacturer’s more expensive models. Negative third-party reviews mainly focus on problems with individual brewers, citing such issues as unpredictable water flow and failure to pierce the capsule during brewing. In a sentence? 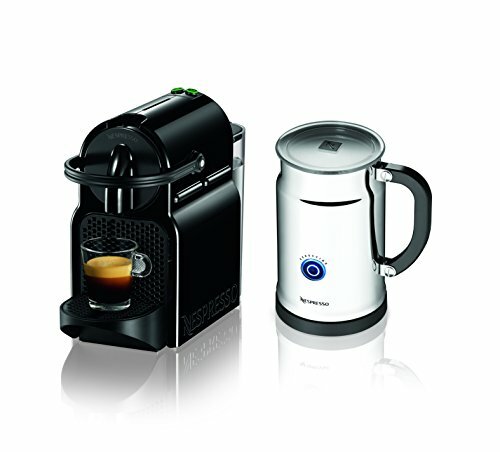 A compact, lightweight, and budget offering from the popular pod machine maker, the Nespresso Inissia is designed to put a smile on your face without putting a big hole in your bank balance – this brewer offers good functionality, and a few nice extras, without all the bells and whistles of the more expensive models. Compact and lightweight, the Inissia is Nespresso’s budget option. Being at the low end of the price range, the Inissia looks a little on the flimsy, plastic side, but there’s no denying it offers the full capsule coffee experience. Given its modest size and price point, this is an especially good option for college students or for anyone with limited counter space. It would also make a nice gift. However, if you want to explore home brewing with Nespresso and have a little more dough to spend, better choices might be the larger capacity CitiZ (list price: approx. $185), the eco-friendly Pixie (list price: approx. $170), or the more technologically-advanced Prodigio (list price: approx. $150) models. Question: how do you remove the air bubble referenced in the article? I have an early model which hasn’t been used in years. I am trying to use it now and the water will not co e through the system. Any suggestions? Thanks Mills, we answered this in context!